The following piece came in my email this morning. I could have re-written it and put my name on it to sound really smart, but instead I will give credit where credit is due. This is from Steve Reitmeister Executive VP, Zacks Investment Research. I really could not have described our investment policy at 401 Advisor, LLC any better than this. Added emphasis is mine. Italy’s senate approved a series of austerity measures on Friday. Investors were obviously pleased given that their 10 year bond rates continued to drop from a peak of 7.25% down to 6.45% in just two days. And this movement back from the brink = stocks up in Europe = stocks up in the US. • Italian bond rates can ratchet back up as fast as they came down. 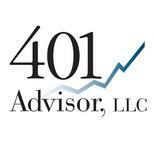 For clarification at 401 Advisor, LLC our dividend portfolios are currently fully invested. However we are seeing some troubling movement in yield spreads between high and low credit bonds. This may cause us to go into a 25% cash position if the spread continues to widen. Newly acquired accounts, our Cyclical Growth and 401(k) accounts are either in cash or bond funds.